Get these Easy Steps to Unclog Your Drains with this free eBook! If your drains get clogged, don't panic! 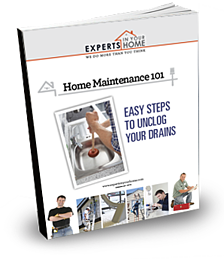 Home Maintenance 101: Easy Steps to Unclog Your Drains is a free eBook that will give you steps to try before you call a plumber.